Weston & Engine celebrate their fourth birthday this year in the best way possible, by inviting some of South Africa's best house and techno DJs to play at Johannesburg's famed Constitutional Hill in Braamfontein. 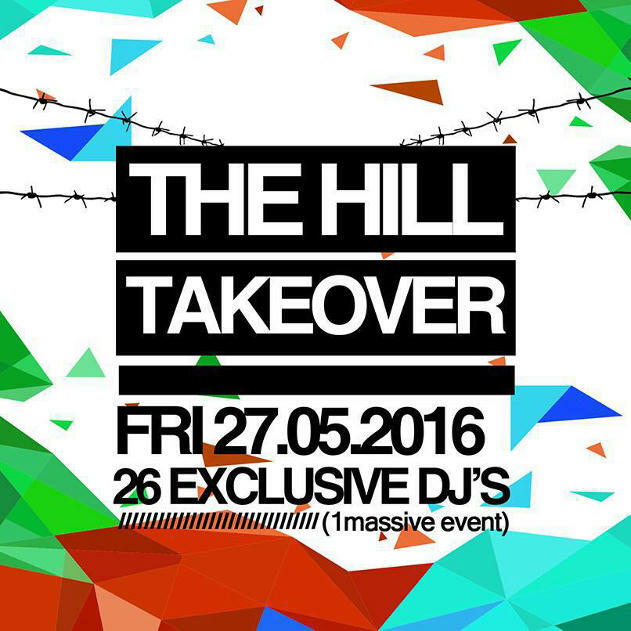 The party aptly named 'The Hill Takeover' will consist of two dancefloors, The Alley and The Tent, both packed to the brim with top-quality live and DJ performances. Included in this massive line-up are Ryan Murgatroyd, Behr, The Lazarusman, Jullian Gomes, Vimo and German DJ Padmode. Constitutional Hill was first built as a fort and eventually converted into a prison which held Boer military leaders (by the British), anti-Apartheid political activists, striking mine workers and even Mahatma Gandhi, Joe Slovo, Robert Sobukwe and the late Nelson Mandela at various points in time. The gargantuan building will be transformed for one night, bringing with it joy and celebration with giant Jenga games, foosball tables, beer pong, fire pits and a massive Bedouin tent covering the entire venue; not forgetting the high-quality sound and lighting, and stellar DJ line-up. What is the name of the German DJ closing "The Alley" dancefloor this Friday? Winners will be announced on Friday the 27th May 2016.